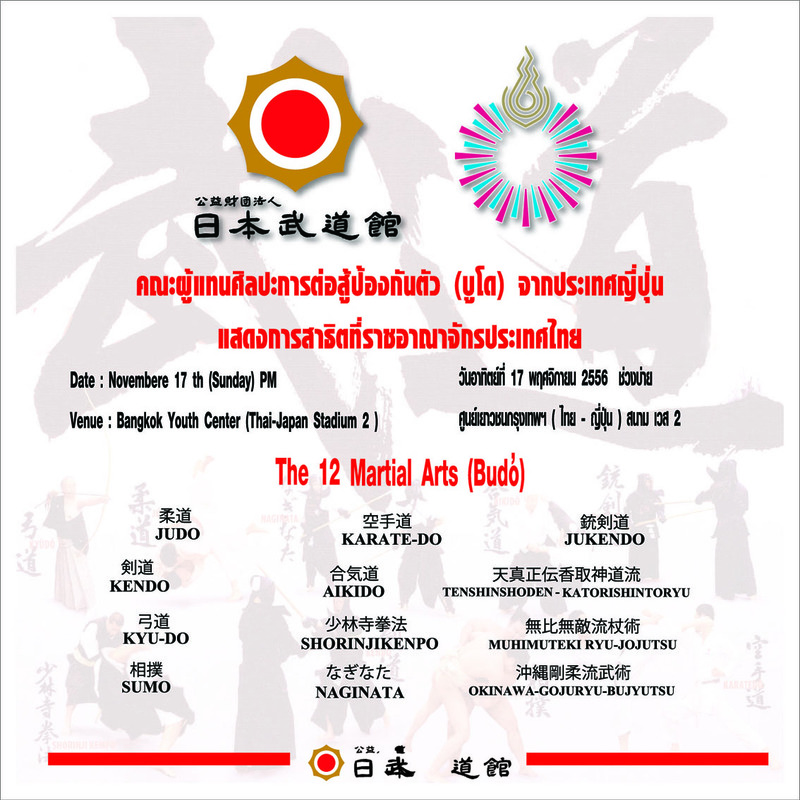 Budokan Demonstation Event will be held on 17-Nov-2013 at BKK Youth Stadium. 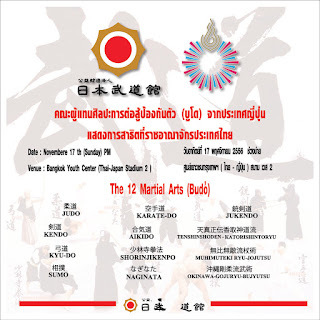 12 of martial arts will participate together with over 60 of high rank practitioners. As for Kyudo, 5 of nana-dan sensei will be demonstrator.